Northwest Publishing Many titles are available for free download. Christ Deaf Online Academy -- an internet Bible school, offering structured study in Bible history, doctrine, and ministry. Old Testament History Map (3-minute video) -- Trace the history of the Old Testament on a map of the Middle East. Old Testament Timeline - a chronology from Abraham to the birth of Jesus. You can print this and keep it in back of your Bible. The Timeline of Israel's Divided Kingdom is especially helpful in keeping track of concurrent kings and prophets. Also view a map comparing Bible lands in Old Testament times and today. Genesis 3 - What our Sunday School teachers never taught us about Adam & Eve. The Song of Solomon -- A married couple's hunting guide. "Prove it!" Five-part series examining evidence for (1) the divinity of Christ, (2) the resurrection of Christ, and (3) reliability of the New Testament manuscripts. Mark 5 - Those of us in deaf ministry are very familiar with the story of the Deaf man in Mark 7. But there is a strange story behind that story, which begins in Mark 5. The Armor of God -- an eight part study on the Christian's basic equipment, as listed in Ephesians 6:10-20.
Letters to Seven Churches A study in Revelation 2 & 3. 50 Old Testament Prophecies of the coming of Christ. Heroes of Faith - sermon series by Rev. Don Zuhn about 15 faith heroes listed in Hebrews 11. Great Unknown People of the Bible - An 11-part expository sermon series on little-known folks, like Barnabas, Apollos, Eunice, Titus, Ebed-Melech, several others. Our Jewish Roots - This series of study helps us better understand the Christian's Jewish heritage by looking at Old Testament covenants and Jewish holidays as they were originally established in Scripture, as the holidays are celebrated now, and as the holidays are fulfilled in Christ Jesus (15 lessons). Also see articles on Our Jewish Roots in the newsletter archive. What is a Lutheran? 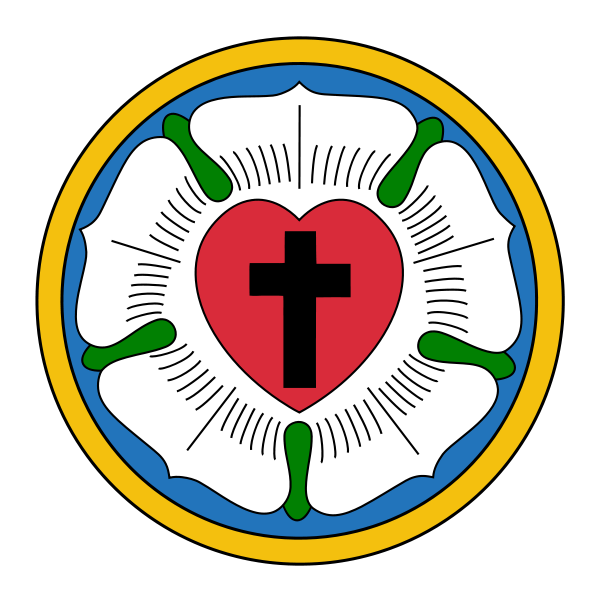 How are Lutherans similar to other Christians? How are they different? Baptism -- What the Bible teaches about baptism. Baptize who? ...when? ...how? ...why? ...then what? Lord's Supper -- What the Bible teaches about the Lord's Supper. Do bread and wine really become Christ's body and blood? Or is the Lord's Supper only symbolism? Who should & shouldn't receive the Lord's Supper? Why? What is the union in communion? Responding to temptation Do habitual sins drag you down? Here are some ways God gives us to help us get free. Spiritual Gifts -- Twelve part series on Gifts of the Holy Spirit listed in Romans 12 and 1 Corinthians 12. Left Behind What does the Bible say about the return of Christ and the "Rapture?" Angels Who are these special messengers of God? There are a lot of books published these days which talk about angels from a pagan, "New Age" bias. But what does the Bible say? This document is a complete list of Bible verses about angels arranged topically. Who is "Michael the Archangel"? Some Christians teach that he is really Christ. Does the Bible support this interpretation? Is "The Gospel of Judas" true? Did Jesus marry Mary Magdalene? This expanded reprint from our March 2004 newsletter discusses a few of the many strange ideas presented in Dan Brown's popular book and movie, The DaVinci Code. The Lost Tomb of Jesus - Did archeologists really find His bones, and bones of Mary and Joseph, too? Mormons Do the Latter Day Saints teach the Bible? Compare Mormon teaching and the Bible's teaching. Jehovah's Witnesses teach that "there is no hell." I had a chance to discuss this doctrine with a couple of Witnesses who came to my home. The Occult What does the Bible say about astrology? ...communication with spirit world? ...ghosts? ...occult magic? ...reincarnation? What should be a Christian's attitude toward these forces? Justice and Mercy This is a Bible study prepared a month following the terrorist attacks of September 11, 2001. The study now has a broader application by examining the Government's role in principles of Justice and Mercy. Thanksgiving Prayer What is the most often quoted thanksgiving prayer found in the Bible? What strange things happened when people prayed that prayer? "Why Hurricanes?" In 2004, after a summer of four devastating hurricanes that hit the state of Florida, a Gallaudet University professor challenged a group of our chaplains with this question, "Why hurricanes?" You can read their answers in this reprint of an article from our church newsletter The Mustard Seed.